Dubbed by the NY Times as ‘The next Tulum,’ Santa Teresa is now firmly on the radar for people seeking a luxurious surfer’s paradise. 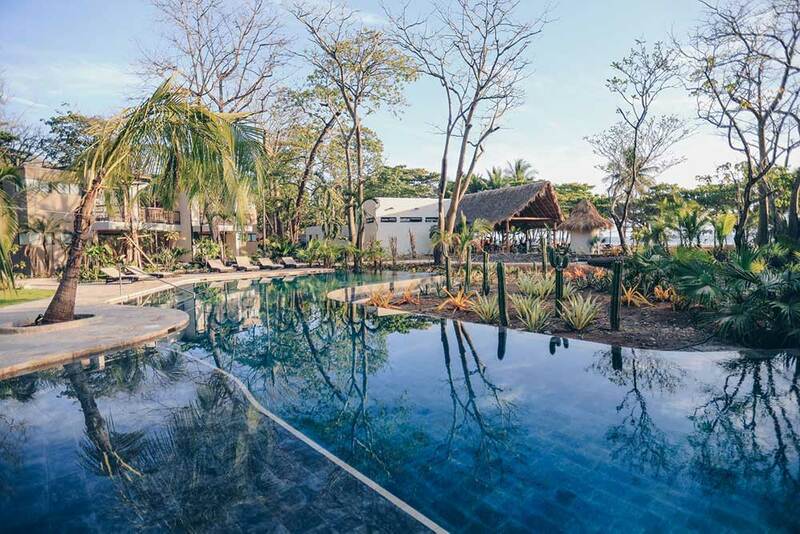 Santa Teresa is located on the Southern tip of Costa Rica’s Nicoya Peninsula and is one of the world’s five ‘Blue Zones.’ The people in these five regions indisputably live longer than anywhere else on the planet. This doesn’t surprise me as the lifestyle and environment here are seemingly interwoven and the lives of the tanned and toned locals seem to centre around the mountains, waterfalls and oceans. 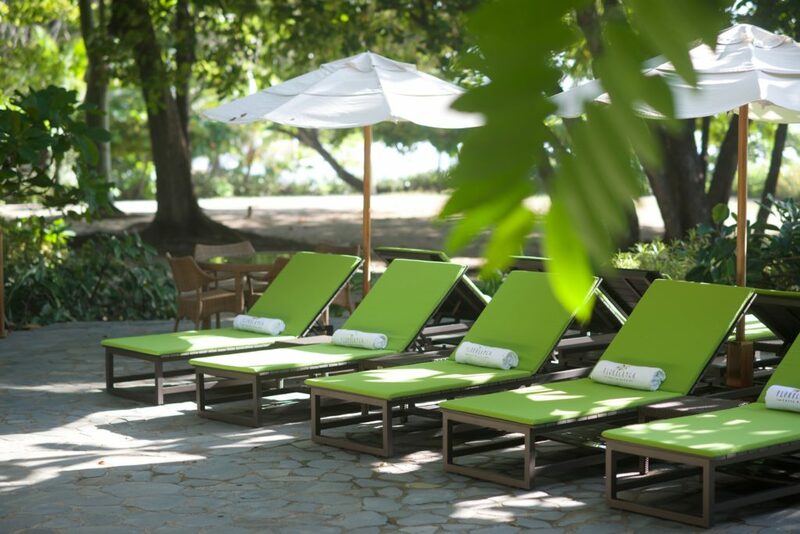 The biggest draw card of Santa Teresa is that although it has world class hotels and restaurants, the eco-minded nature of its inhabitants have left the natural environment relatively untouched. Even in the most luxe hotels the focus is always on the untamed, natural surroundings. 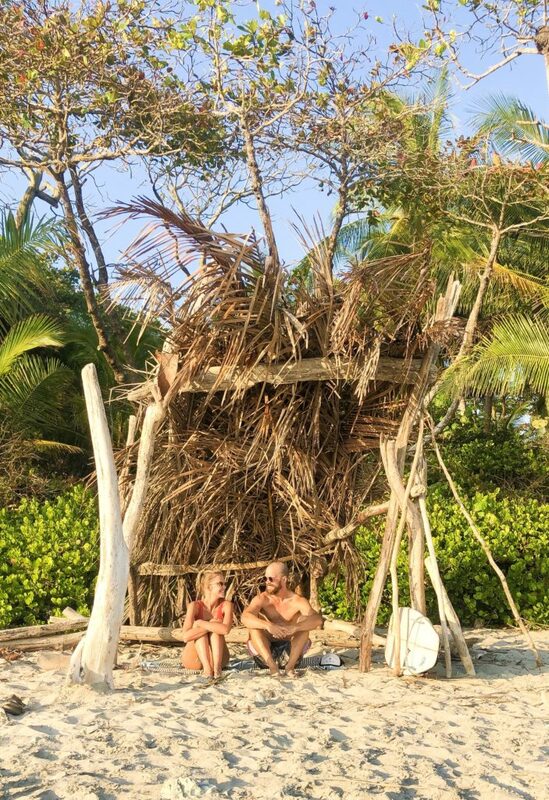 With deep bath tubs positioned outside amongst the jungle flora and relaxing hammocks facing the perfect waves, this place really is unforgettable. 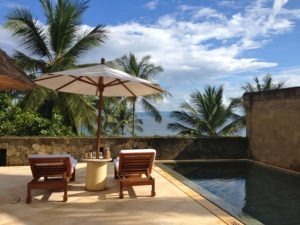 Florblanca Resort is known to be the most luxurious, boutique hotel in Santa Teresa and I think it definitely lives up to its reputation. 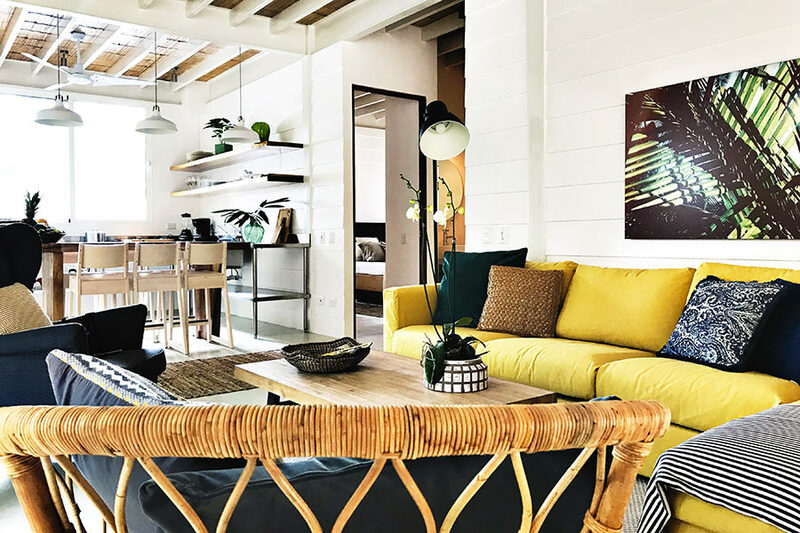 However, luxury takes another meaning in Santa Teresa…Instead of marble and glit, showcasing the natural beauty of its surroundings is what Florblanca does best. 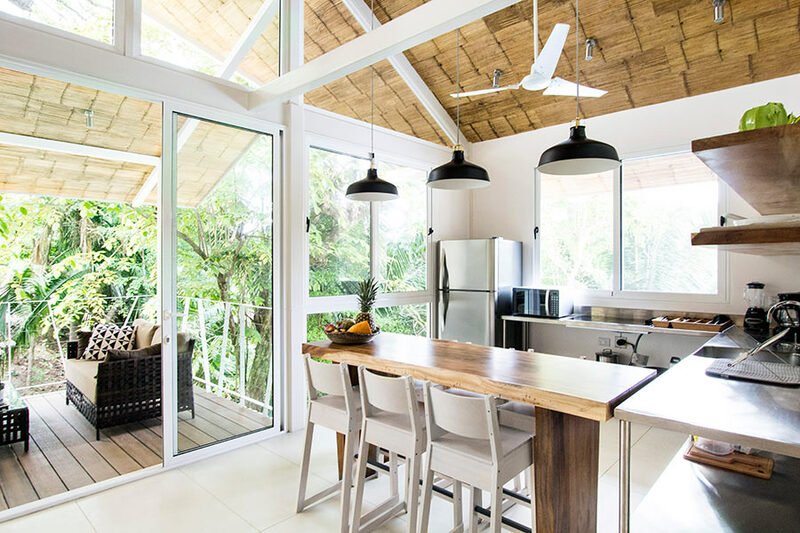 The eleven expansive villas are decorated simply yet impressively in both Balinese and Costa Rican style. 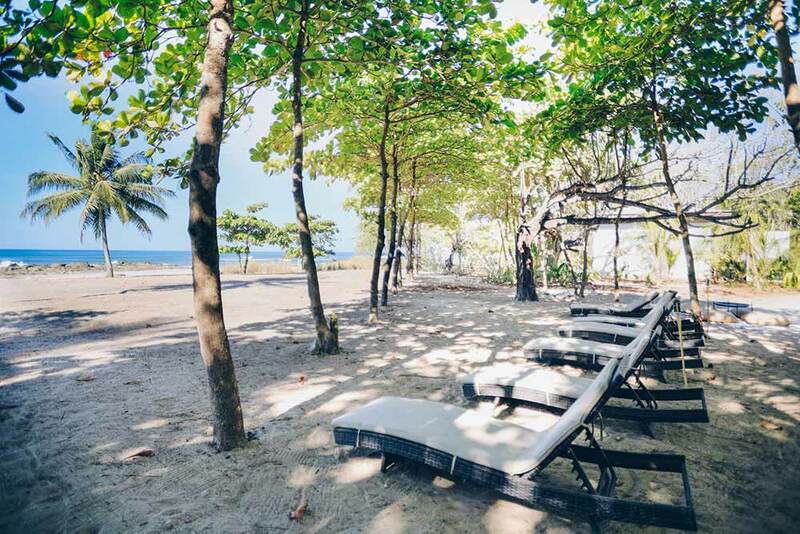 Picture open-air living areas, outdoor bathrooms and two-person hammocks surrounded by unruly jungle. This appreciation of nature is also apparent throughout the hotel who use only biodegradable products and leave gentle reminders for guests to use water sparingly. For those who love surfing, you are in for a treat here as the hotel is literally situated on one of the best surf breaks in the world!! Even those preferring not to hang ten will no doubt fall in love with the stunning, unspoilt beach with water that is warm year-round. 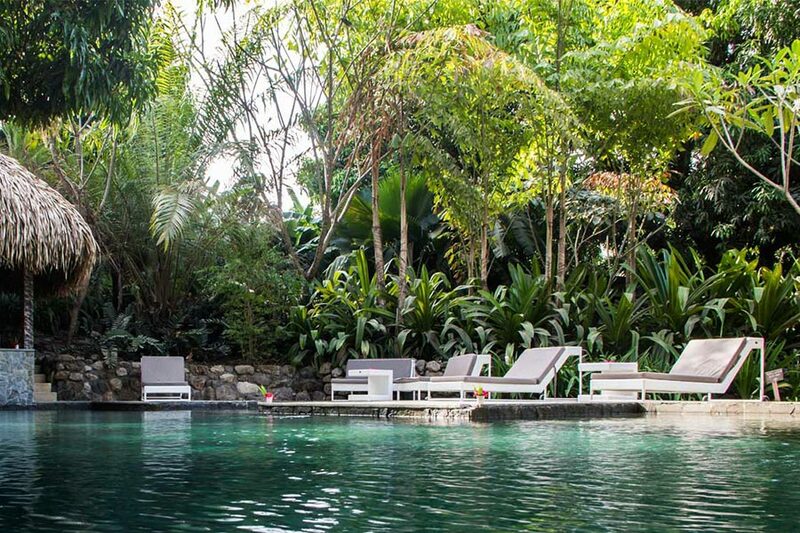 If you want a change of scenery you can always take a dip in the beautiful two-level pool with a sculpted waterfall or get an organic facial at the famous ‘Spa Bambu’. If you choose to stay elsewhere, be sure to pop into a yoga class on Sunday with world renowned yoga guru Stefano Allegri. 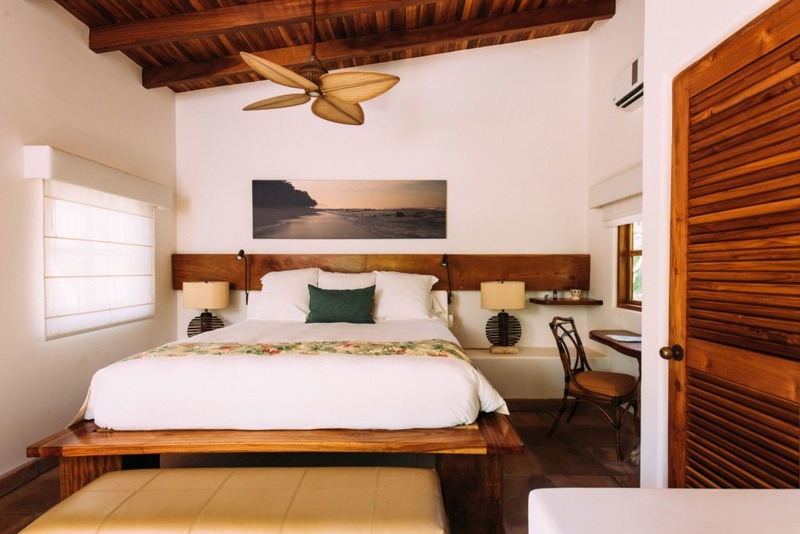 The newest kid on the block Nantipa Hotel is redefining barefoot luxury in Santa Teresa. 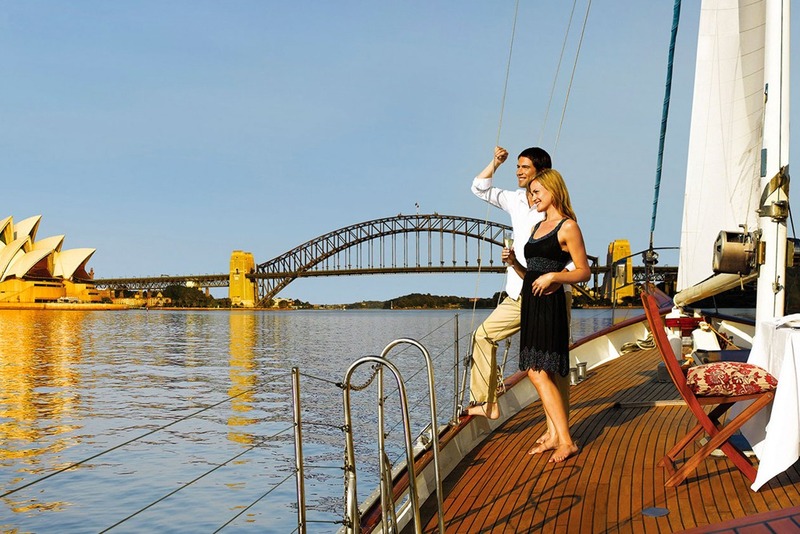 The hotel is a member of the exclusive Small Luxury Hotels of the world collection. 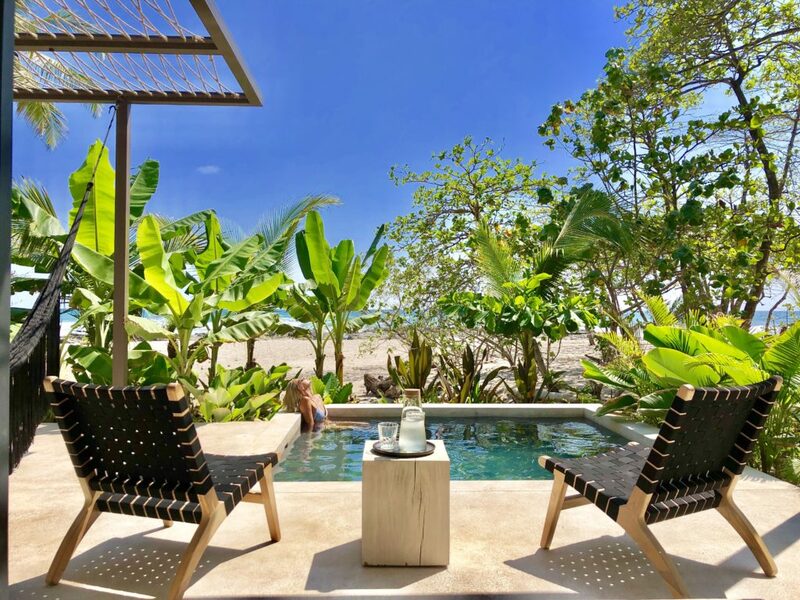 This boutique hotel is set on 6 acres of pristine, oceanfront land and its mission is to combine World Class design with authentic Costa Rican Hospitality on one of the country’s top beaches. Mission accomplished, I’d say. The hotel has 8 suites and 7 bungalows with private pools. The accomodations are minimalist and sleek with all of the latest mod-cons. Guests can also enjoy ocean views from most rooms. 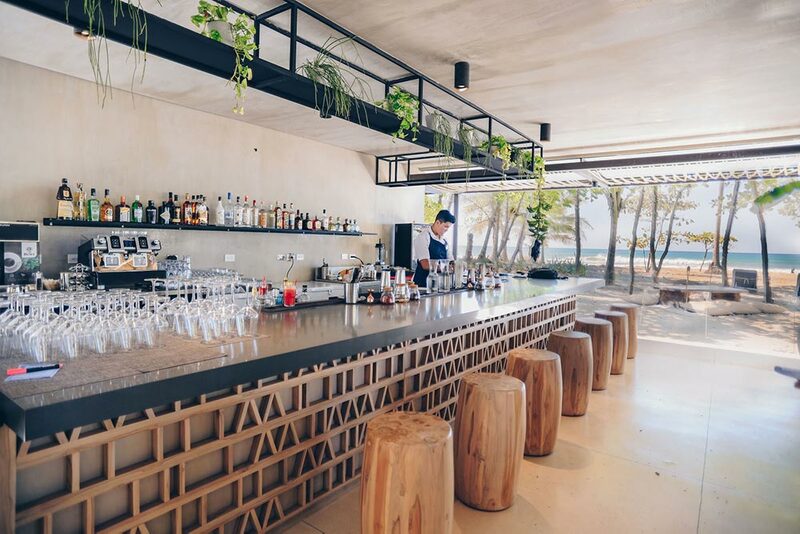 If you go for a sunset stroll along the beach you will find lots of cool and casual dining options very close to the hotel although most evenings we dined at the hotel’s own stylish restaurant Manzu. We loved sampling the fresh, local seafood with a nice cold vino and our toes in the sand. Definitely try the ceviche and one of the restaurants signature cocktails designed by renowned mixologists the Mulberry Project… If in doubt try the mojito! If you are travelling as a family or group preferring a larger accommodation, I would highly recommend the chic and spacious 2 bedroom bungalows at marAmar Bungalows. The marAmar property isn’t a hotel as such but more like a gated community with the safety of 24hr security and the convenience of a concierge service. 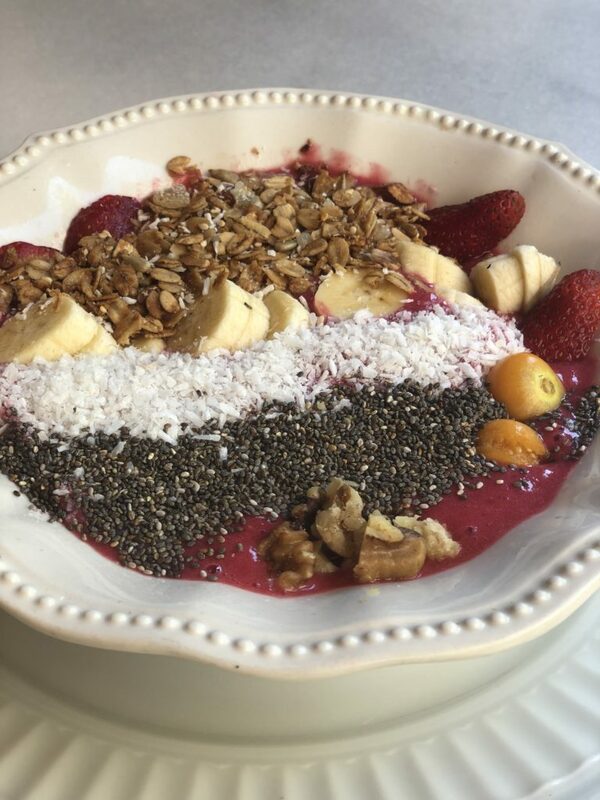 The property is located right across the road from the beach and close to many of the delicious cafès in the area (my favourites nearby were Olam & Zwart cafès). Coming back from the beach each morning we took a swim in the shady, lagoon style main pool which was very refreshing. There was also a stylish plunge pool directly behind our bungalow. 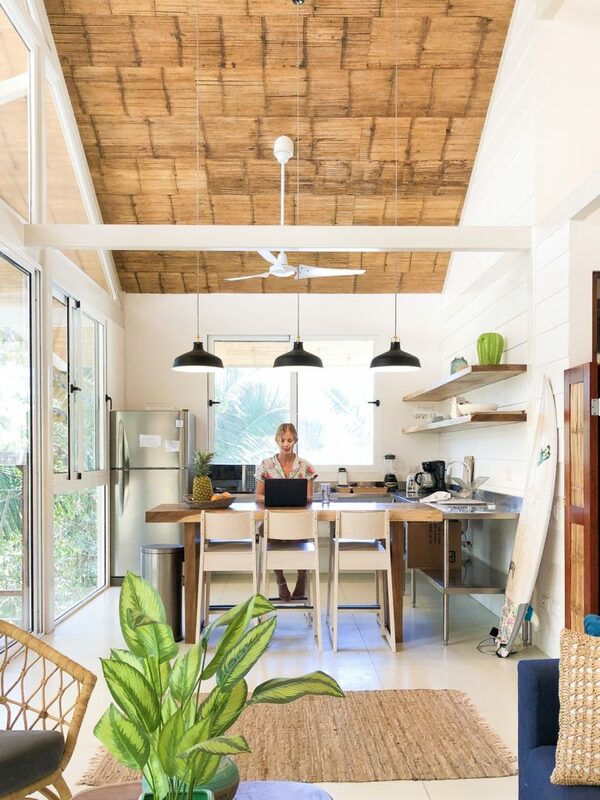 The bungalows are quite private due to the lush, jungle setting and the wooden roofs and external staircases make you feel as though you have your own gigantic treehouse! 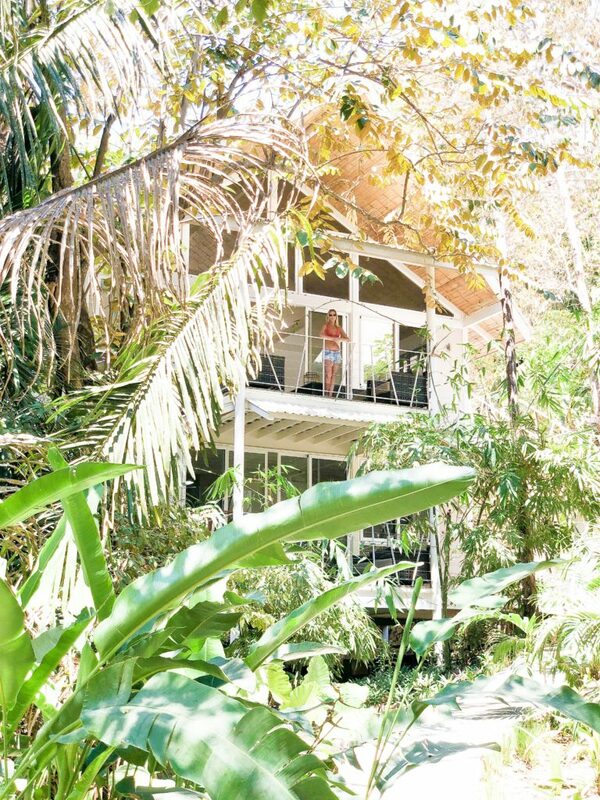 We loved waking up to the weird and wonderful calls of the Howler monkeys each morning. 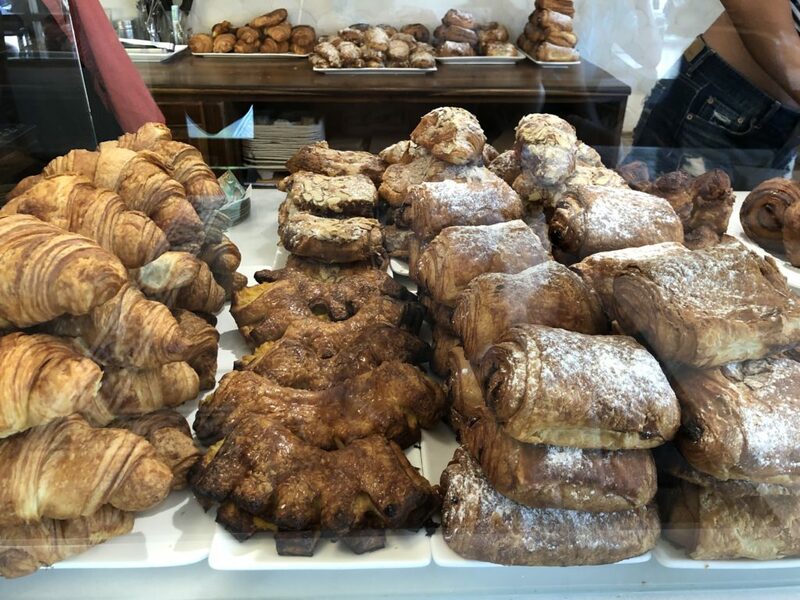 Think of the most seductive pastry spread you can imagine….I’m talking warm, dripping pain au chocolats…crisp, buttery, almond croissants and a cake selection that would have Nigella drooling & you will get a sense of what’s in store at Santa Teresa’s aptly named ’The Bakery’. 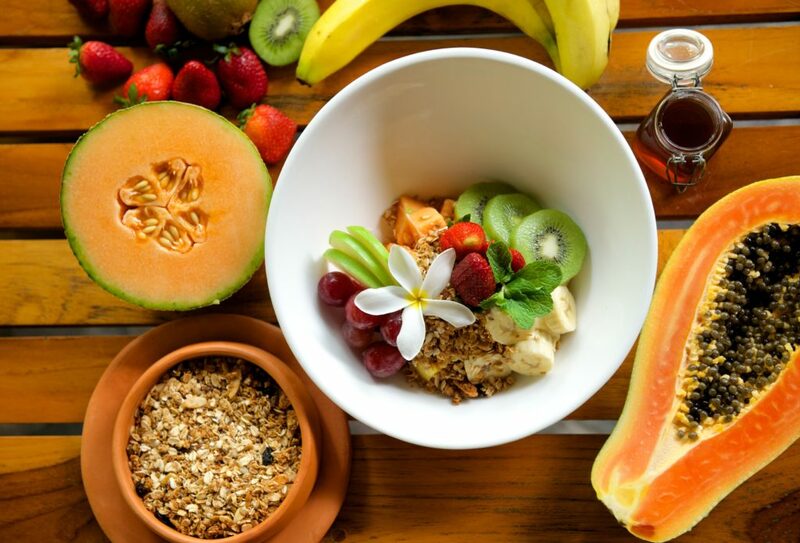 In addition to the tantalising baked goods, they also have a fresh, healthy and inventive menu available for breakfast, lunch and dinner. TIP: Make sure to get in early for your almond croissants. Once you’ve had one you will be hooked. When they handed me their drinks menu I was in heaven. They had everything I was craving since leaving Australia. 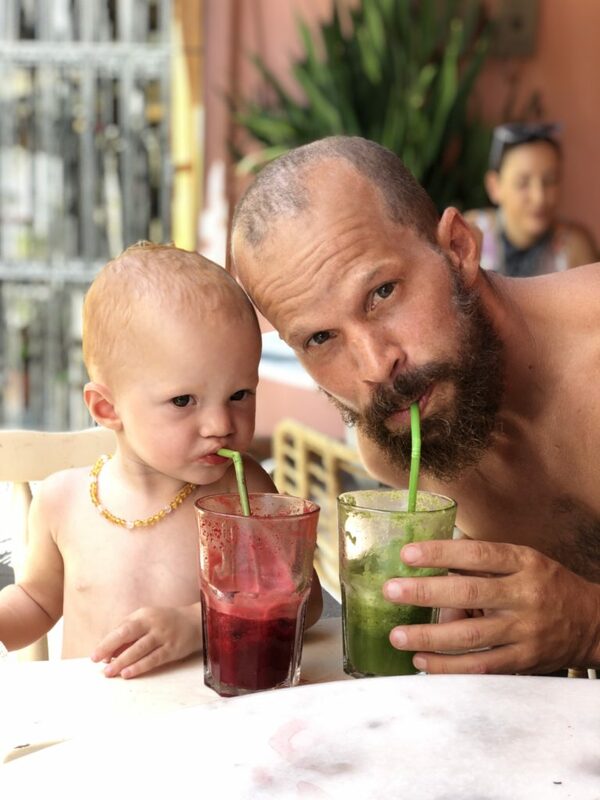 An impressive choice of delicious (and organic) green smoothies packed with superfoods and supplements. They also had a delicious chai tea served with home made almond milk and honey. For something more substantial, I loved the vegan stuffed mushrooms or the falafel dish. They also have a fantastic yoga studio above the cafè with drop-in classes available so you can nourish yourself inside & out. This little gem was recommended to us by a local expat shortly after we arrived as a ‘must try’. 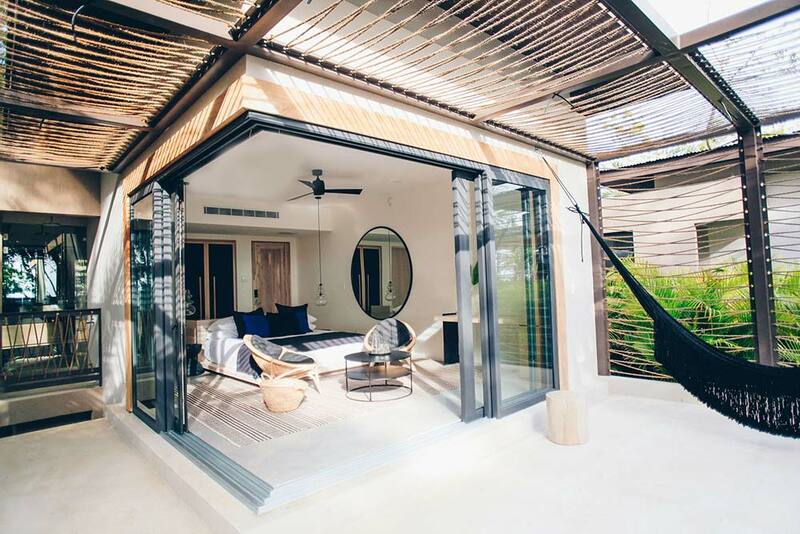 It is located inside a boutique, Balinese-stye yoga-‘Horizon Hotel and Yoga Centre‘. We absolutely loved this place. In true Santa Teresa style the restaurant is organic, vegetarian and super tasty but the view sets this one apart from the rest. Perched on top of a hill the restaurant has a dramatic view of Santa Teresa and the pacific ocean. Tip: Do yourself a favour and order the shakshuka (Isreali baked eggs) OMG! What the? We never expected to get delicious, authentic Italian in a remote surf-town in Costa Rica so we were beyond delighted with this place. Their slogan sums it up perfectly ‘Nice place, good food’. It is a little pricier than most restaurants in town but after dining here we would happily of paid more. 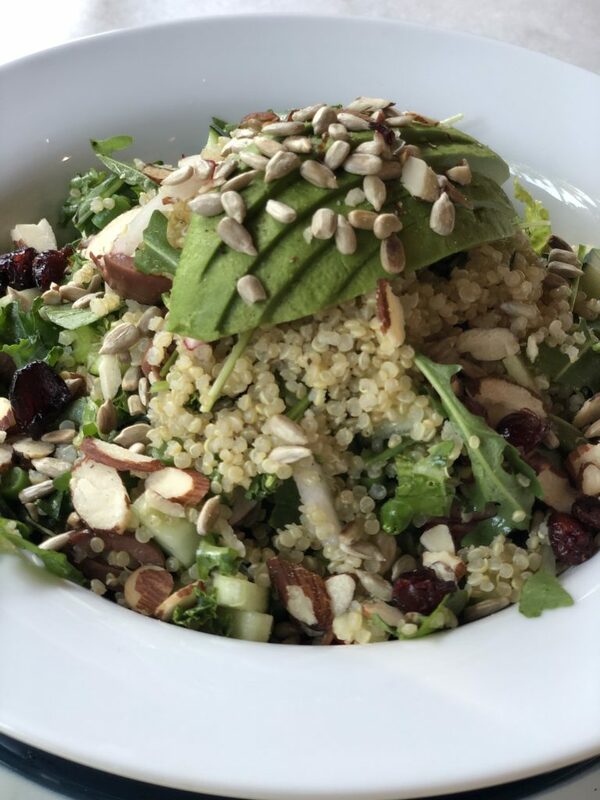 The service was friendly and fast and the dishes were all very well done using quality ingredients. I had the eggplant parmigiana and Alex had the ‘bulls balls ravioli’ which I was NOT trying but he swears it was delicious! TIP: Ladies, if you want to do some shopping head to Pacific Wolf Factory (PAWO) on the main road. It had some really nice one-off dresses and bags that are designed locally. I was wandering through a bookstore during my lunch break in Sydney when I saw a little hardcover book entitled ‘ONE HUDRED & ONE beautiful SMALL TOWNS in Italy’. 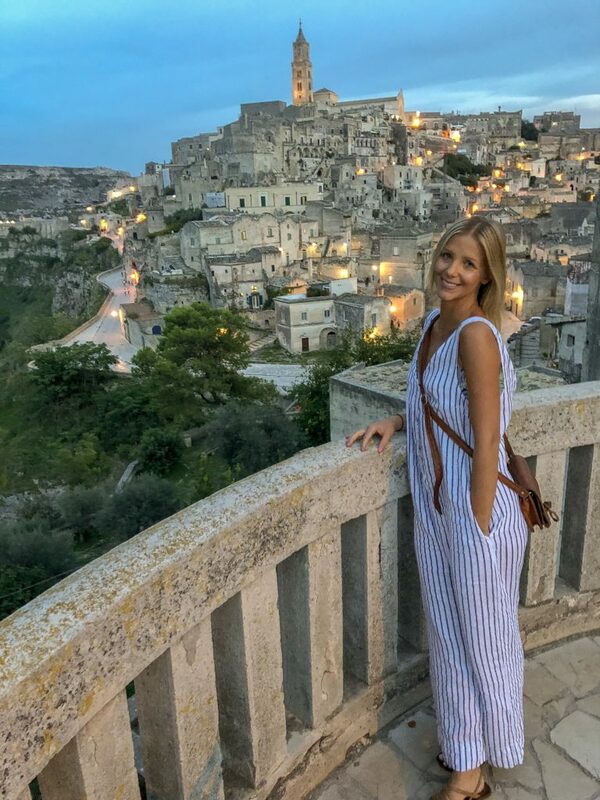 I began dreamily flicking through the pages when I stumbled across the ancient, hillside town of Matera. Growing up in Australia, where the oldest buildings were erected in Colonial 1800’s, I found this picture of Matera utterly mesmerising. Perched on the cliffs of Sorrento, the Bellevue Syrene was built in 1750 on the ruins of a 2nd Century villa from the Roman empire. 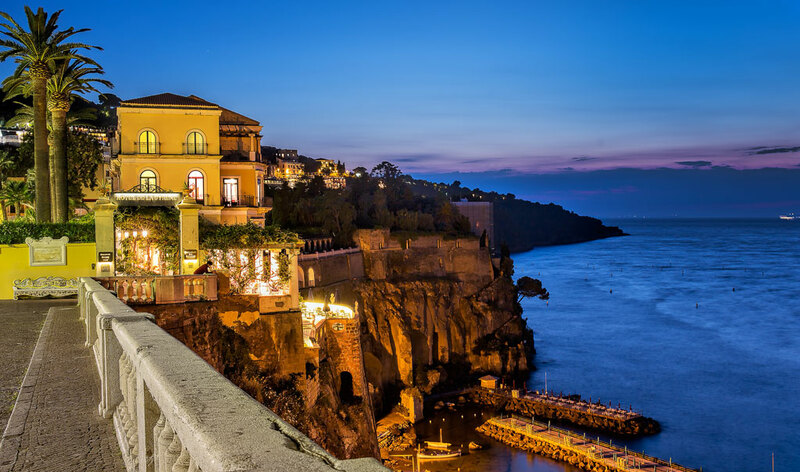 The dramatic clifftop position means that the entire property enjoys jaw dropping views over the gulf of Naples…. I must admit heading to one of the Aman flagship properties my expectations were high but I never imagined anywhere could be THIS good! Being a self-professed Bali-addict, this trip marked the 19th time I had visited the ‘island of the gods’. I simply cant get enough of the delicious food, bohemian vibe and the gentle, spiritual culture of the Balinese people. 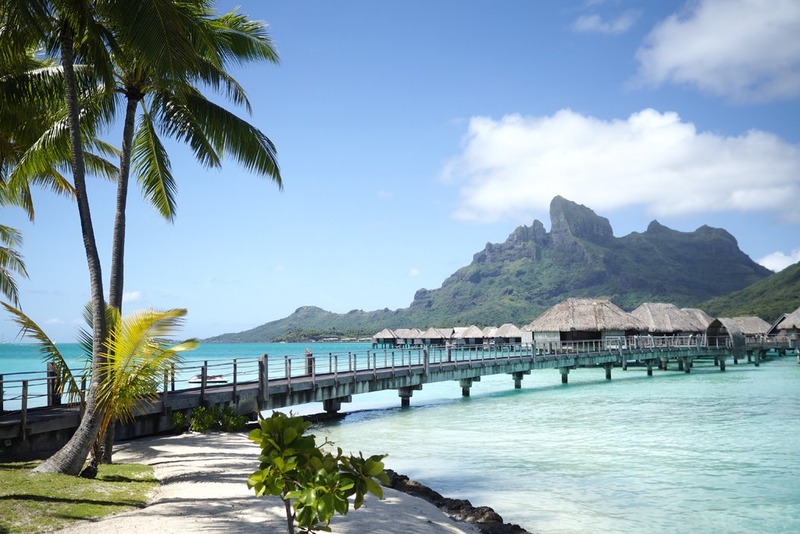 I am not alone in my love for this tropical island covered in palm trees, rice fields and warm, blue waters. In fact, an estimated 4.6 million tourist visited Bali in 2016. To cater for her guests, Bali is covered in 5 star resorts offering an extraordinary calibre of comfort and sophistication. 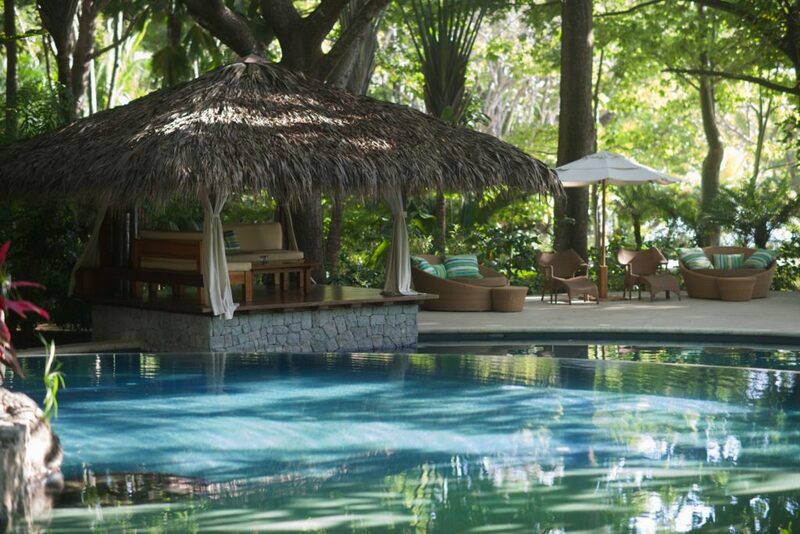 The Amankila is the ultimate example of such luxury. The Amankila is comprised of 34 traditional Balinese thatched roof bales all perched on a hill allowing you to admire the views out to the turquoise waters of the Lombok straight. 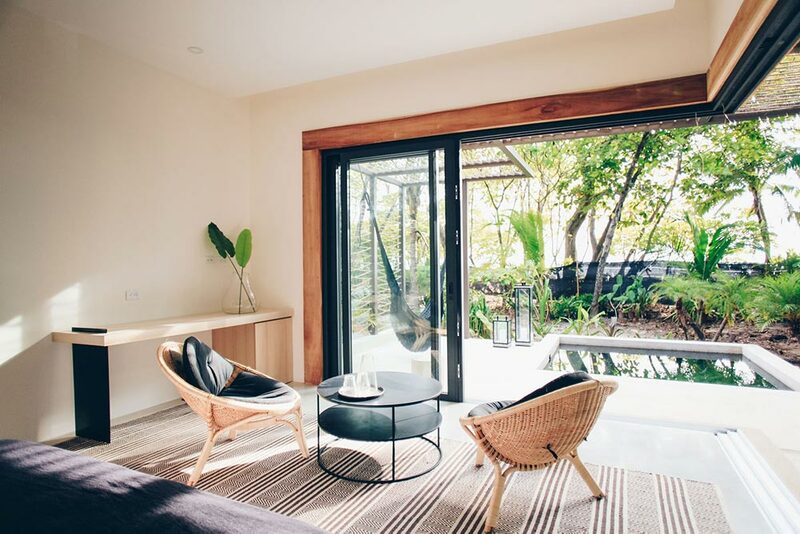 Each of the suites have their own terraces with sun-lounges & day beds where you can while away the days with a good book and a G & T…ahhhh heaven! Of course being an Aman property be prepared for rock-star service where the staff are discreetly attentive and somehow know your preferences from the moment you arrive. 1. BOAT TOUR: A must when staying at Amankila is to take a private boat tour on the spectacular Aman XII, a luxuriously converted traditional Balinese fishing boat. We even had our own snorkel guide who didn’t disappoint. We saw hundreds of colourful fish & beautiful big turtles. BLISS. 2. BOOK THE KILASARI SUITE: Upon recommendation we booked the panoramically endowed Kilasari Suite and boy was it worth it. I remember laughing at the look on my boyfriend’s face when we checked in…think 4 year old girl getting a pony for Christmas and you’re halfway there! The kilasari suite has a 12-metre private infinity pool as well as an expansive terrace that you wont want to leave. 3. BEACHFRONT YOGA: During our stay we did a morning yoga class in a beautiful pavilion by the beach. The instructors at Aman are all trained by a local guru and that came through in the unique practise we experienced. To our surprise, the class incorporated “laughing yoga” where we sat in a circle deep belly laughing for about 30 minutes with our fellow guests. Your fake laugh soon turns genuine (and contagious) and we had so much fun! Laughter really is like a green smoothie for the soul, I couldn’t keep the smile off my face all day. 4. 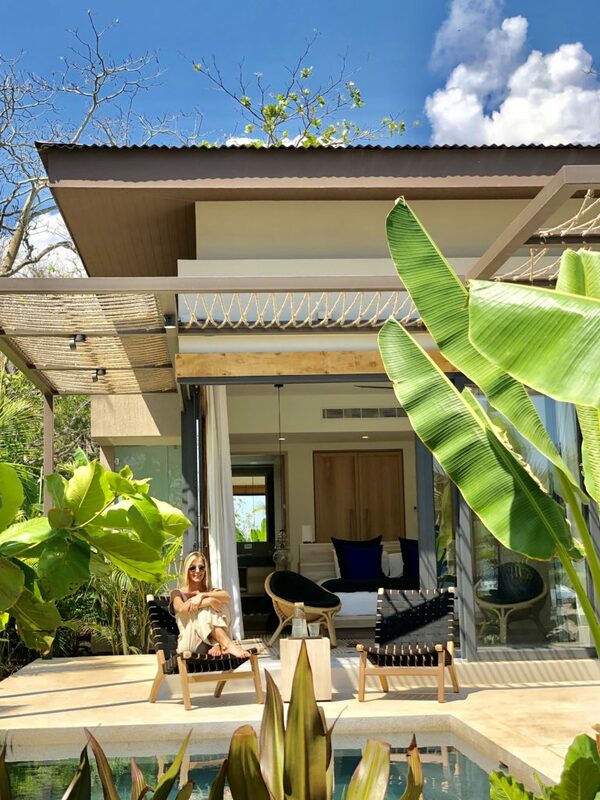 GET A MASSAGE: I urge you to experience a traditional Balinese massage available in the suites, the massage pavilion, a beach bale or I found a perfectly secluded open-air spot with a tropical canopy! 5. RICE TABLE ROOM SERVICE: We decided to eat dinner on our terrace on evening and ordered the “rice table” which is a selection of traditional Indonesian dishes. We popped out for a cocktail and when we came back our entire suite and terrace were aglow with candlelight. We had a beautiful table set up outside and felt like royalty as a succession of waiters brought us a variety of mouth-watering local delicacies all serviced in exquisite silver dishes. Next level romantic. With the next date only a right-swipe away the lazy courtship is just not going to fly these days… If you dream of some day picking baby names & Netflix series with this person then you’ll need to go bigger than dinner & a movie my friends!